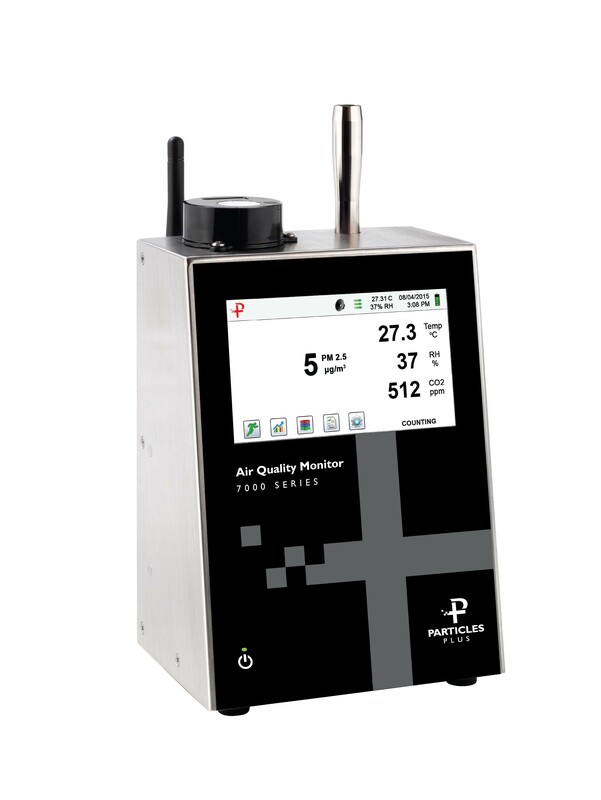 The Particles Plus AQM Series Remote Particle Counter and Environmental Monitor measures 0.3 µm to 25 µm particles with mass concentration and stores indoor air quality measurements of temperature, relative humidity, and CO2.. This instrument is the most versatile remote Air Monitor available, with advanced power management and the industry’s first sleep mode, allowing for battery operation of periods that can exceed a month on a single charge. The AQM Series can be used as a stand-alone battery operated instrument or it can be easily integrated into a building automation and facility monitoring system via Ethernet, USB or (optional) Wireless 802.11 b/g, RS485 or RS232 connection.